Anorexia Nervosa Causes – Is Perfectionism Behind This Condition? There are lots of theories revolving around anorexia nervosa causes, but even experts on eating disorders are not completely in agreement. Anorexia facts are changing and evolving on a daily basis, with patients and doctors alike coming to new realizations. There are two different types of anorexics; those that binge and purge and anorexics that severely restrict their food intake. Most people know that bulimia is an eating disorder. However, there are some important bulimia nervosa facts that you may be missing out on. All eating disorders are based on psychological issues revolving around body image and control, but even the sufferers have no idea why they do the things that they do. Here are 10 of the most important bulimia nervosa facts that every person should know, whether they are trying to get help for themselves or a loved one. 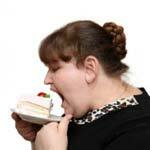 Compulsive Overeating Treatment – Which Method Is The Most Effective? An ideal compulsive overeating treatment takes on the psychological issues that trouble sufferers while simultaneously giving them a safe environment to recover in. For some, inpatient eating disorder rehab is necessary, while others work better with peer based support groups. Because every compulsive eater has different triggers, there is no one size fits all approach for this illness.